Acoustical ceiling baffles are the best to solve any reverberation problems, in any large space which require various density cores. 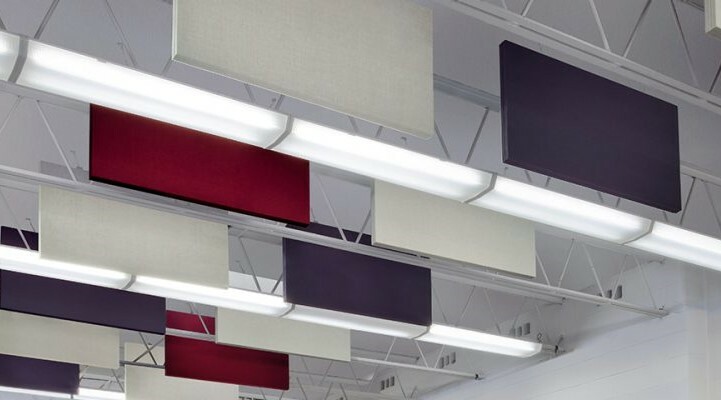 Our acoustical ceiling baffles are lightweight, Class A fire-rated and available in various colors and sizes to meet any acoustical needs. The ANC-700 acoustic ceiling baffle comes 1″, 1 &frac12 ” & 2″ thick in standard 2’x4′ sizes. They are available up to 4’x8′ for larger applications.